UPDATE 2: All lanes have now been reopened. UPDATE: The two right lanes have been reopened. Crews are on the scene of a Monday morning crash along Interstate 95. 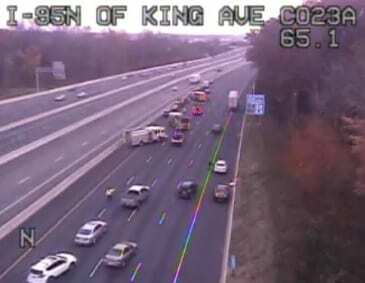 The crash was reported at just before 8:30 a.m. along northbound I-95 just before the White Marsh Boulevard exit. Northbound I-95 has been shut down for crash response.